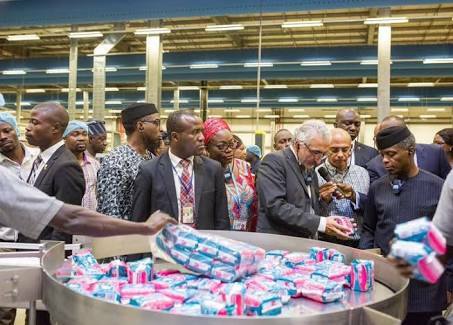 Just about a year after commissioning its largest plant in Nigerian, P&G - makers of sanitary pads and diapers - is set to shut the the production plant situated in Agbara Industrial Estate, Ogun State. The company expanded its footprint in Nigeria in June 2017 with the commissioning of the state of the art production line which reportedly cost the firm about $300 million to complete. Sources at the firm said about 120 workers are being laid off as part of the shut down with some of them already receiving their disengagement letters which is to commence next month. “About 30 staff will be left who may either be outsourced or deployed to our only remaining plant in Nigeria,” a company source told Premium Times. The P&G plant was expected to contribute to Nigeria’s economic and social development through localization of its products. Such plants were expected to make Nigeria a key export hub for Africa and create several jobs. They also contribute significantly to Nigeria’s non-oil revenue. The shut down will not, however be the first of such in Nigeria. About 272 manufacturing plants were shut down across the country in 2016,according to the Manufacturers Association of Nigeria.